The Great Super Bowl Divide: A Town in the Middle – Halfway between Denver and Seattle, people are picking sides, and there is no consensus. National freeloader league – Sure, watch the Super Bowl. Your tax dollars are paying for it. Confessions of an ex-TSA agent – And yes, we were laughing. Confessions of an ex-TSA agent. For Super Bowl Security, State and Local Cops Sharing Info at Unprecedented Levels – Less than a year after the Boston Marathon bombing, in which social media and crowdsourcing proved instrumental to finding the suspects, this year’s Super Bowl security technology pools resources in a way that that uses data to paint the most comprehensive picture yet. Should the government mandate breastfeeding? When it comes to infant nutrition, the experts agree that breast is best. But should government be legislating lactation? New city manager mulls changes for Raleigh government – Hall shared his first impressions with the City Council during its two-day retreat, which wrapped up Friday. He said Raleigh now has its manager heavily engaged in day-to-day operations and that the job’s 14 direct reports are a high number compared to similar cities. Preston’s developer thinks bigger, proposes new 22,000 home city in Chatham County – Preston Development’s Chatham Park would engulf Pittsboro. With 60,000 people, 22,000 homes and clusters of corporate campuses, it would be the biggest project of developer Tim Smith’s career. Glitches in State Exchanges Give G.O.P. a Cudgel – State-run health insurance exchanges are now the biggest laggards in fixing enrollment problems, and Republicans vow to make them an election issue. Historic Drought Has U.S. West Fearing the Worst – With no sign of rain, 17 rural California communities providing water to 40,000 people are in danger of running out within 60 to 120 days. Lobbying Rules Do Not End Revolving Door on Capitol Hill – Former officials have little trouble passing through loopholes in ethics rules intended to keep them from immediately lobbying their onetime colleagues. Christensen: Clay Aiken is not the first celebrity intrigued by NC politics – Andy Griffith, Lula Belle Wiseman, Charlie Albertson, Ric Flair, Vinegar Bend Mizell also looked at politics. The Post-Hope Politics of ‘House of Cards’ – Every generation gets the Washington TV show it deserves — and Beau Willimon’s Washington is only getting darker. With no favorite, GOP could face turmoil in 2016 – In a divided GOP, an enormous number of potential contenders are thinking of jumping into the presidential race, including, perhaps, the return of virtually everyone who ran in 2012. Liz Cheney: I shall return – On Jan. 6, within hours of confirming her plans to leave the Wyoming Senate race, Republican Liz Cheney gathered her aides and advisers on a conference call to thank them for their hard work – and to put them on notice for the future. Law Doesn’t End Revolving Door on Capitol Hill – Former officials have little trouble passing through loopholes in laws intended to keep them from immediately lobbying their onetime colleagues. A Mayor N.Y. Looks Up To, Even When He Slouches – Mayor Bill de Blasio, the tallest mayor in New York’s modern history, is discovering that bigness can also be a burden. What G.O.P.-Style Reform Looks Like – An alternative plan falls far short of what the existing health care law already provides. Gresham vs Portland: Proposed radio tower on treasured Gresham Butte causes friction between the two cities – The tower is intended to support police, fire and emergency communications in Mulltnomah County and help eliminate communication dead zones caused by eastern Multnomah County’s hilly terrain. Weed Issue 2014: Green Dawn – It’s a new morning for pot in Portland. We clear the haze. Seattle not considered a sports town, but it’s a possibility – The trophy-deprived region may be on the fringe of the national sports media’s radar, but it might also be on the brink of changing that Sunday afternoon when the Seahawks play Denver in Super Bowl XLVIII. Savor this moment, Seattle, and this team – Seahawks are fresh, fun and magical this season, and fans should drink every second of this super-charged run. 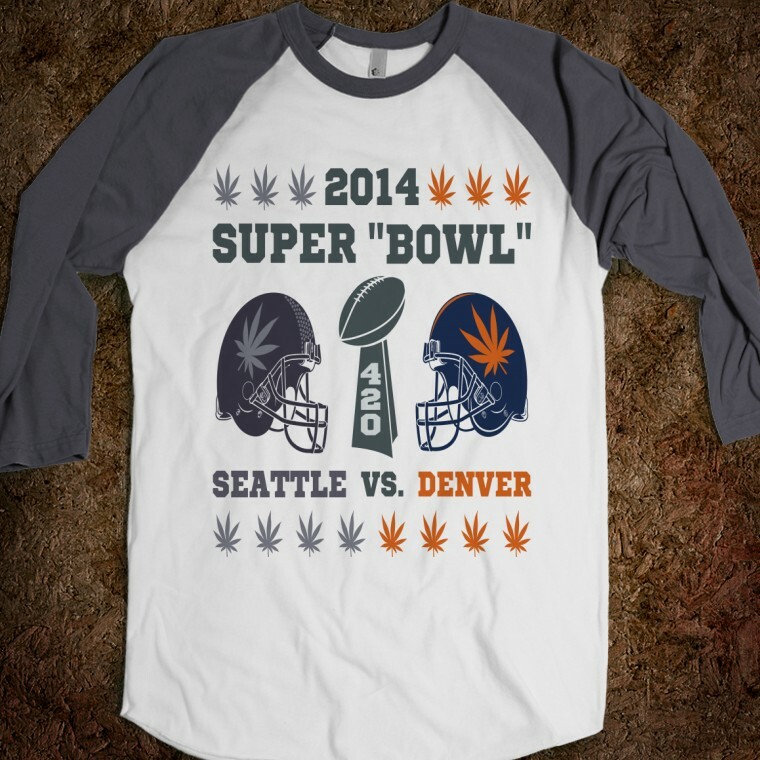 Does Seattle have any chance of being a city that hosts the Super Bowl in the cold? With the weather warming in Jersey, NFL Commissioner Roger Goodell says northern cities are a good fit. Really? Woodburn UGB Strike Two – The City and the LCDC had proposed two new concepts to justify the size of the expansion. First, the City intended to make more sites available than would actually be developed over 20 years to provide “market choice” — an adequate inventory of sites from which potential industrial users could select. The court of appeals decided that given the variety of industries targeted and the diversity of sites in the planned expansion area, the LCDC had not adequately explained why the market choice approach complied with Goal 9. Ready… set… legislate: Short session overflowing with issues – With nearly 300 potential bills headed for Oregon’s 35-day legislative session that starts Monday, lawmakers returning to Salem are preparing for a crowded playing field. The city that the hops industry built – So reads the 1913 Salem City Directory. In 1912, an estimated four million dollars was pumped into the Willamette Valley economy from the production, harvest and shipping of more than 115,000 bales of hops. State bill would guarantee paid vacation time for workers — Workers in Washington could be the first in the nation to be guaranteed paid vacation time under legislation being considered by state lawmakers. Rams returning to L.A. is not super farfetched – News that the owner of the franchise has bought land in Inglewood and could move the team from St. Louis to the Southland make that possibility more realistic than any previous reports. Feeling Ill, Richard Daley, Former Mayor of Chicago, Is in I.C.U. – Former Mayor Richard M. Daley of Chicago was hospitalized in an intensive care unit Saturday after feeling ill the night before while returning to Illinois from a business trip in Arizona. Editorial: How Chicagoans can shape the city’s future– Chicago’s heart-stopping lakefront, thrumming Loop and brawny riverfront did not happen by accident or sheer luck. Vandalia’s love-hate relationship with Lincoln – At age 25, Abraham Lincoln arrived in Vandalia with a new suit bought with borrowed money. In November 1834, the young man was about to get his first taste of politics as a newly elected state representative. Over 50, working against time in America’s harsh job market – Older workers face a tough hunt for new jobs in a slow-moving recovery, and the clock is ticking. Denton council selects goals at retreat – The Denton City Council agreed on goals for itself after a planning retreat at Ray Roberts Lake, goals that include improving communication as well as establishing clear steps for city leaders after the comprehensive plan is updated. Mayor-led effort to establish an innovation zone gains traction– Austin leaders want to leverage the city’s “Silicon Hills” reputation to create an innovation zone in the northeast corner of downtown. Southwest Austinites to get voice at City Hall – For the first time, Austin residents in 2014 will have the chance to elect a City Council member to represent their part of the city. North Austin gets representation with 10-1 districts – Some North Austin residents say politics in Austin will change significantly this November when residents vote for 10 City Council members to represent their neighborhood concerns. How Chipotle is going to serve burritos faster, and faster, and faster – Lines snaking out the door at lunchtime have long been a bottleneck to growth at US burrito chain Chipotle. Planning an Oreo Moment for the Super Bowl? Please Stop – Countless brands and agency teams are mobilizing this week, hoping to be crowned king of real-time marketing at Super Bowl XLVIII. Your Biggest Choice on the Road to Success – Les Roches Marbella Any attempt to reduce success to a single factor or a fixed formula is bound to fail. For every person who successfully follows the formula, there will be dozens who falter. Confessions of a Tiger Couple – Amy Chua and her husband, Jed Rubenfeld, have a new book about why certain cultural groups tend to succeed more than others. They have no idea why this might be controversial. Reopening an Employment Door to the Young – Many employers lament recent graduates’ lack of specialized skills. But a management consultant says these young people still offer much potential for a company’s future. Twitter’s Super Bowl Goal: More Ad Credibility – On Super Bowl Sunday, Twitter will again serve as a grand stage for advertisers to promote brands to millions of people captivated by gameplay, half-time shows and slick commercials. Chasing Their Star, on YouTube – The message to aspiring video makers on YouTube is clear, and seductive: Attract an audience, build your brand. But success, let alone stardom and wealth, remains elusive. Why our selfie culture is degrading – In a culture defined by the selfie, nothing has lasting value — and everything is disposable.